Each image below is a link to the actual Form in PDF format. Click the image to download the form. This form is sent in some time in December of each year as the Church PW Treasurer and voting Counsel sets the new budget for the new year. 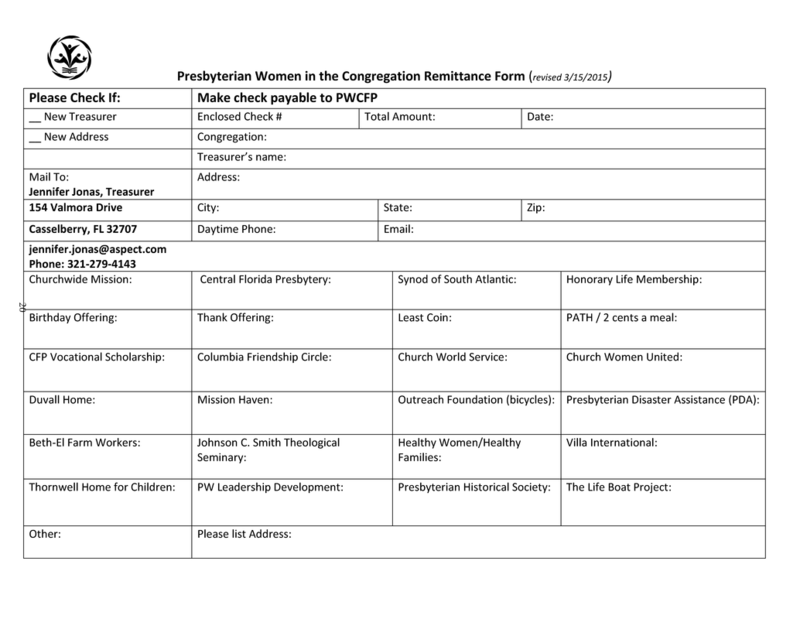 This form reports the intended amount of money your Church PW will be sending Churchwide, Synod and PWCFP. ​It allows these three bodies to plan their budgets. ​DO NOT USE THIS FORM to send the money in. This PWCFP Remittance Form is all you need when you send in your one check for ALL giving. Please send in quarterly payments if possible. Note giving to Churchwide, Synod, PWCFP, and all benevolances including any you wish to write in. Please include the write in agencies address so the PWCFP check goes to the right person. Did someone in your church give a gift to PW in honor or in memory of someone? 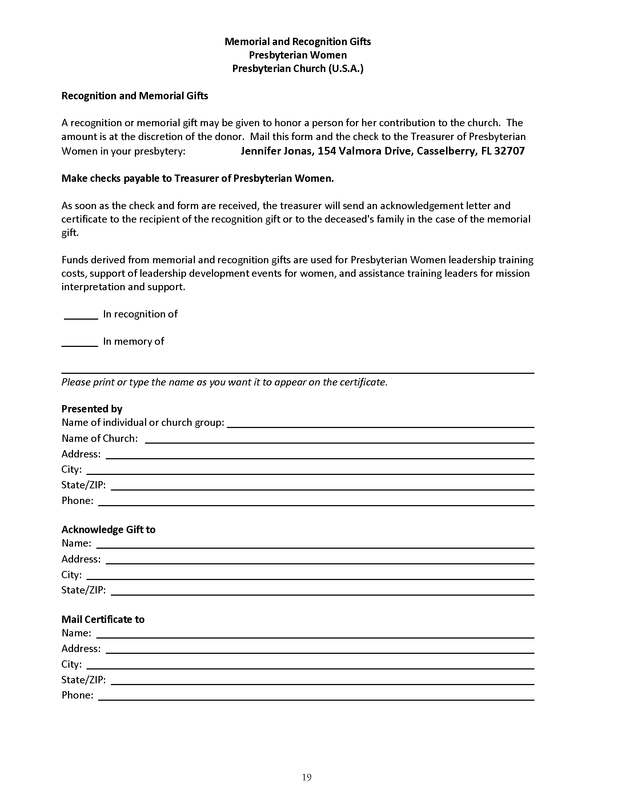 ​Fill out this form and send in the gift to PWCFP.